PrivaZer is a relatively new cleanup/privacy tool, similar in vein to CCleaner, which has been developed by a US-based company and is reputed to be very thorough. There are lots of these types of free cleaning tools available but PrivaZer introduces several innovations and new areas which tend to make it stand out from the crowd. Some users have reported that cleaning with PrivaZer has affected installed programs to the extent where a specific program will no longer launch and requires re-installing. But then again, I’ve read similar user complaints regarding CCleaner, so tend to take such comments with a grain of salt. 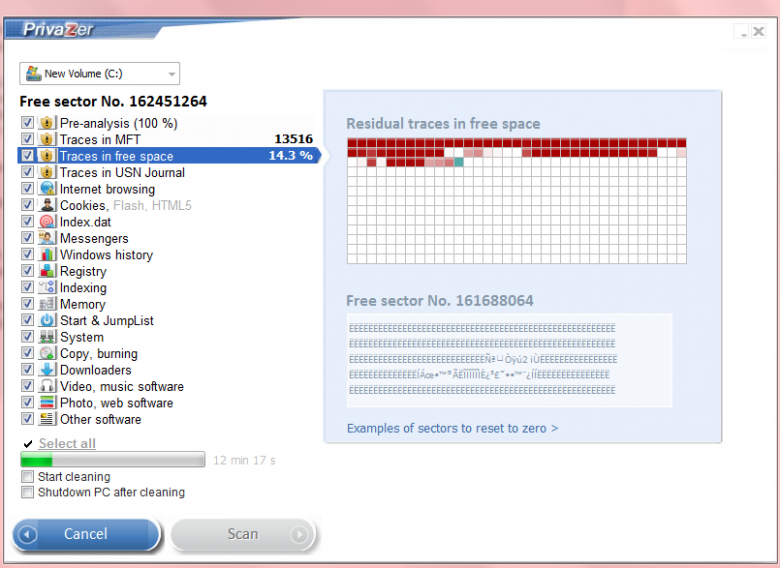 HOWEVER, PrivaZer is indeed very powerful software which does clean a couple of areas at low level. So I advise taking all necessary precautions prior to cleaning , including creating a system restore point and possibly even creating a full system image. PrivaZer would be eminently suitable for experienced to advanced users but I would suggest those who are unsure of what they are doing stick with known safe options such as CCleaner and SlimCleaner. I have used CCleaner for years and never had any problems with it. I use it every day. 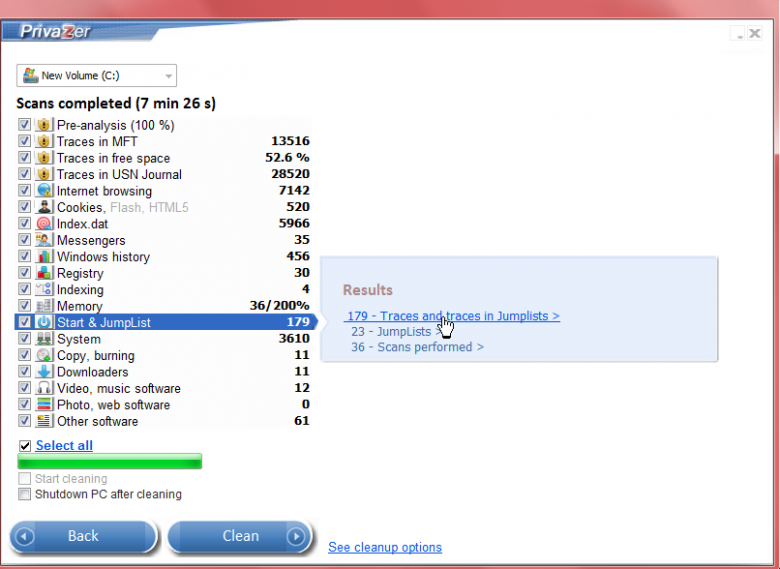 Another save cleaning and optimizing software is, PCMatic from PCPitstop. Also very safe to use. It also sells another application, PCMagnum to clean all the rubbish you get from the Internet. I downloaded Privazer yesterday and had to leave it running to do its job and set it to switch off. This morning I opened up my computer show a message my startup had been changes and had to change it back to normal start up. I clicked on to next page where the programme set it to normal start it restarted my PC. and now my computer is runnig faster than it ever has. This is great. Hope this carries on. Sorry Jim, I meant Dave’s Computer Tips, not PC Advisor! I am registered as as BallyIrish. My apologies. I had read PC Advisor’s (UK) newsletter and the old brain had not changed gear yet! Bob. 1. The first odd thing I noticed was two of everything i.e two shortcut icons appeared on my desktop in and two in my systen tray. In the Downloads directory there was a single instance. 4. after a fresh download things seem to be as expected, single icons, scan terminated and cleaned about 4GB – all this after I ran Ccleaner yesterday! 1. has anyone else experienced this peculiar apppearance of double icons? 2. can anyone excplain why Privazer sees differnt things from Cc leaner, my old standby of long standing? 3. does this mean Ccleaner is not to be relyed upon? 1) No, never seen the double icons here. 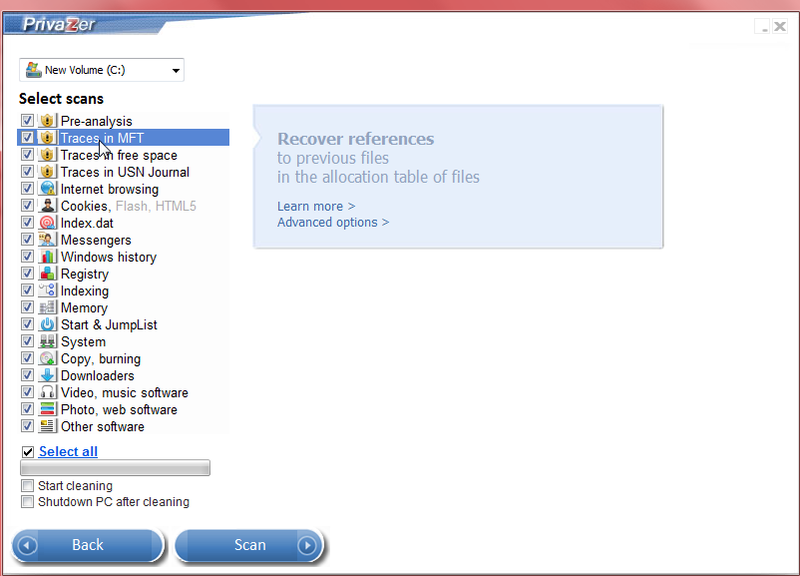 2) PrivaZer and CCleaner clean different areas by default. Some areas are common to both, others are unique to each. 3) No, CCleaner is a very reliable and safe cleanup tool… one of the best. PrivaZer may be just a little more thorough. Did you fully install PrivaZer or run in portable mode? Also, when using these types of cleaning tools it is imperative that no other applications are running at the same time. 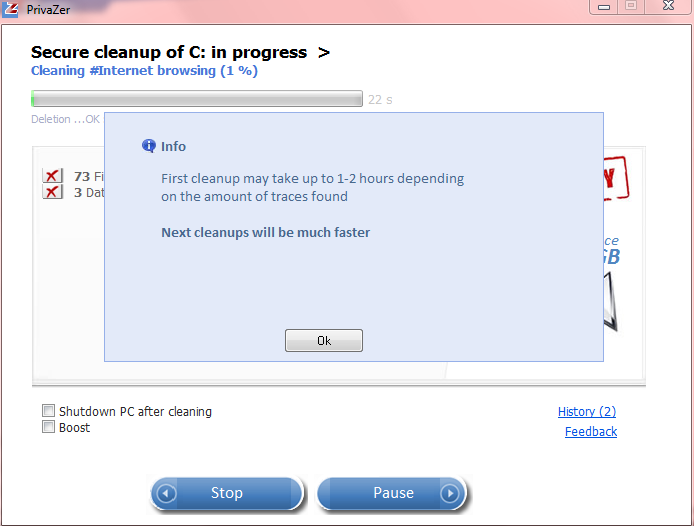 1. so neither cleans the PC fully? 2. therefore I should run both to achieve maxkimum “cleanliness”? 3. is cleaning really worthwhile when it frees-up a mere <2% of a 300GB disk? 2) Sure, no harm in running both. 3) In my opinion yes, cleaning is worthwhile, it’s only the frequency that may differ. Heavy users should clean more often than light users. I am a heavy user (as in I use my computer a lot) and I clean the hard drive around every 6 weeks or so. It’s not only a matter of the free space regained, unnecessary clutter can also slow down some operations, especially on older machines and those with not so high-end specs. Cleaning the hard drive, especially when dealing with system areas, generally involves an element of risk. Developers of cleanup tools must strike a balance between efficiency and safety. Rule of thumb; the more aggressive a cleaner is the greater the risk factor. That’s why CCleaner is so highly regarded, it may not be the most thorough cleaner available but it is certainly among the safest to use. PrivaZer is a little more aggressive/thorough than CCleaner but in the 12 months or so I’ve been using it, I haven’t had a problem. Still, I always recommend creating a system restore point prior to initiating the cleanup process. 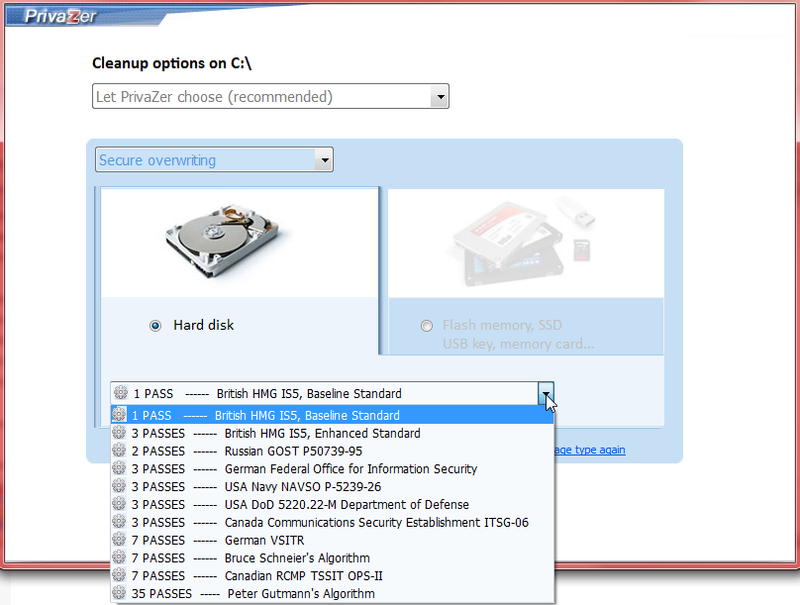 PrivaZer includes an option to automatically create a system restore point for you. Thanks very much indeed – impeccably put as ever. I installed and ran Privazer yesterday and it cleaned out 2.7GB of junk. More importantly I can see no ill effects on my system whatsoever. I’m impressed! I prefer to download programs and then get off the internet while they are installed. I so no link/process to allow me to just download this program. Am I missing it?